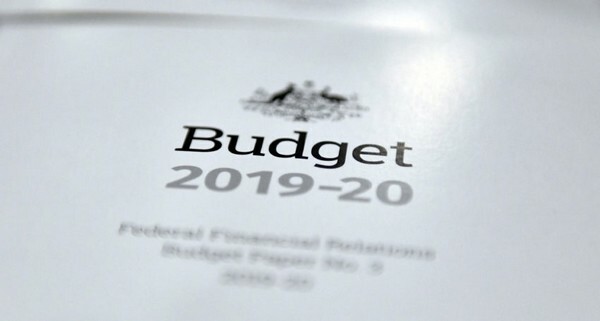 The Australian Government presented the 2019/2020 budget on Tuesday 2 April 2019, and as usual there were plenty of changes announced affecting the Immigration portfolio. Acacia Immigration has reviewed the information available on the upcoming Budget, we have identified the key changes as below. From 1 July 2019, visa application charges will increase for all visas except the Subclass 600 Visitor visas. The planned increase of 5.4% will see base application fees for a permanent skilled visa rise by just over $200 for a primary applicant, for a Graduate visa the increase will be just over $80, and for Partner visas there will be a whopping increase of $386. Second Visa Application Charges, such as those for Parent visas and non-functional English for dependents will not be affected. The maximum number of visas available for the 2019/2020 program year will be lowered to 160,000, with the most significant cuts from the Skilled Independent and Employer Sponsored visa types. This is to make way for 23,000 places in the new regional visa program announced for November 2019. As reported in our article from 27 March, Immigration plans to introduce three new visas aimed at attracting migrants to regional areas of Australia. From 1 November 2019, the provisional employer sponsored and provisional work visas would be available, with the permanent Skilled Regional visa available from November 2022. The definition of 'regional' will be simplified to include anywhere outside of Brisbane, Gold Coast, Sydney, Melbourne and Perth, so migrants can look at places like Queensland's North coast and Toowoomba, New South Wales' Northern Rivers, Central coast, and Hunter Valley, Geelong and the Grampians region in Victoria, and anywhere in South Australia, Tasmania, and the Northern Territory. The current permanent Regional Sponsored Migration Scheme (subclass 187) visa and the State Nominated temporary regional visa (subclass 489) will be discontinued when the new regional visas come into effect. Existing visa holders and applications lodged before this date will not be affected. For people considering regional options, this means that the current regional visa subclasses will be replaced by new regional visa subclasses. The major change proposed so far is that requirement to live in the region will increase from 2 to 3 years. From 2021, International Students who complete their studies in regional Australia and continue to remain in regional Australia on their graduate visa will be able to apply for a further one-year post study work visa. New scholarships will be available for international and domestic students to study in regional areas, for higher education and vocational education qualifications. From 1 November 2019, the skilled migration points test will be adjusted to award additional points to applicants where their partner has competent English but cannot meet the other requirements for skilled partner points. Single applicants will not be disadvantaged as there will be other additional points available, however, there is no detail on how these points are to be gained. The budget reported that the revenue from the Skilling Australians Fund levy is forecast to be $126 million less than originally forecast for the four years to 2022-23, due to lower than expected demand for employer sponsored visas. However, a number of large infrastructure projects were also announced in the budget which may well require employers to bring in more skilled workers from overseas. People interested in applying for a RSMS visa or 489 visa should ensure these are lodged by the end of October to be eligible under the current rules. Everyone else who is looking to apply for a visa should try to lodge before 1 July 2019 (if possible) to avoid the fee increases, or start making plans to cover these additional costs. Those looking to study in Australia may wish to consider applying to regional universities in anticipation of the new regional visas and extended Graduate visas. Please note that there is currently very little information on the new regional visa requirements, scholarships, and the points test changes, so we are unable to provide specific advice on these at this stage. Acacia will continue to monitor any announcements from Immigration - particularly with the upcoming election - and will advise of any changes through our website and social media, so watch this space.